$52,434 x 84 Months @ 0.99% APR (estimated financing rate, cost of borrowing $1,848). Body Colour Grille Includes black mesh inserts. Engine: 5.3L EcoTec3 V6 Polished Exhaust Tip (LPO) Dealer installed. Locking Tailgate Utilizes same key as ignition and door. Single-Speed Transfer Case Electronic Autotrac with rotary dial control. * Every reasonable effort is made to ensure the accuracy of the information listed above. 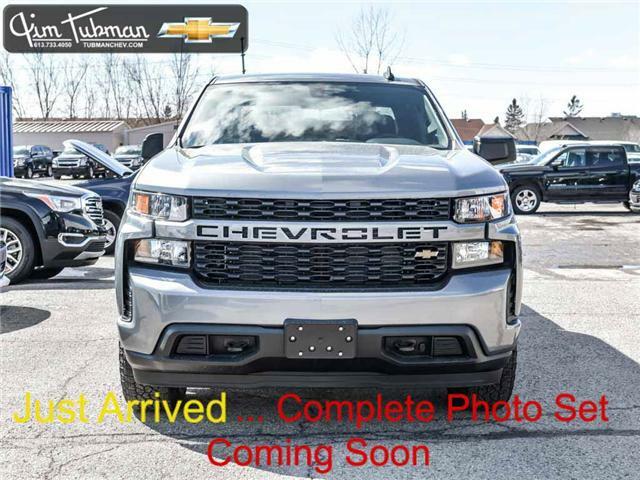 Vehicle pricing, incentives, options (including standard equipment), and technical specifications listed is for the 2019 Chevrolet Silverado 1500 Silverado Custom 4x4 Crew Cab 5.75 ft. box may not match the exact vehicle displayed. Please confirm with a sales representative the accuracy of this information.